Time – the universal constant. Time passes the same for all peoples; rich or poor, busy or idle, inspired or dispirited. And time has certainly passed for Oscilloclock.com since the 2015 Tokyo Maker Faire – the event that just keeps giving! 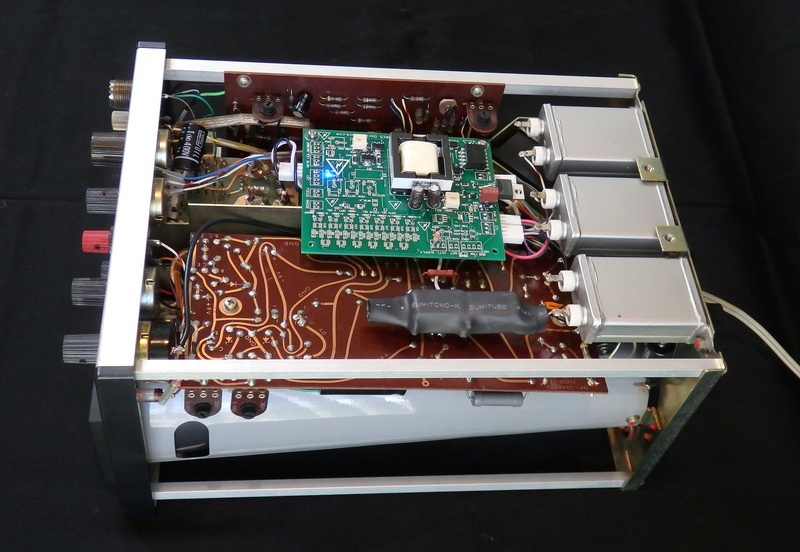 At last, we present the final model from that Faire – the Kikusui 537 Oscilloclock! 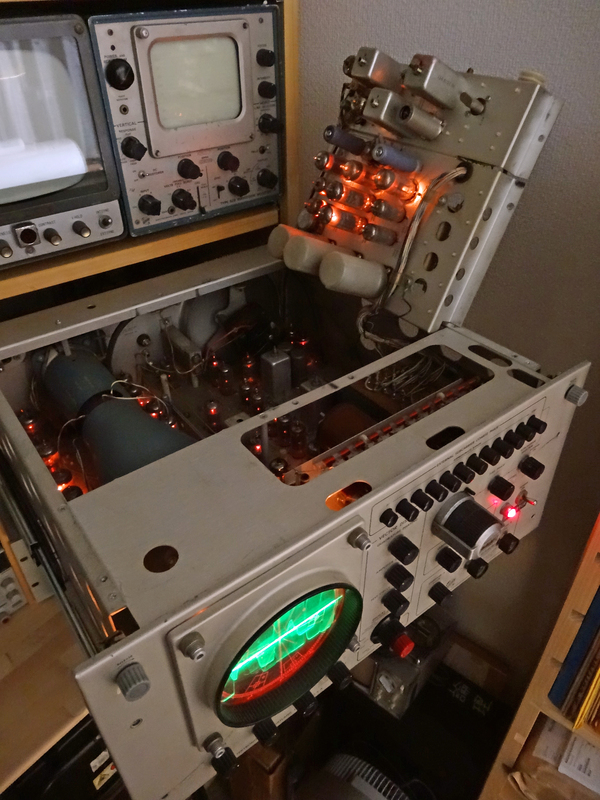 The Kikusui 537 was hand-picked for conversion by the lab’s youngest technician (9 at the time). He chose it for its small size and portability, but also for its cute colour scheme! A dainty red sweep adjustment knob highlights a bright white and black control panel, with a blue case providing overall contrast and visual soothing. The 537 Oscilloclock’s small size makes it the perfect clock for an office desk, bedside table, or mantle. And since this is a ‘maximum re-use’ conversion, the existing circuit is active and all the front panel controls are fully functional. Fiddle with the image’s size and position to your heart’s content! Switch from XY mode to normal sweep mode, to view raw Oscilloclock signals in real time, as the seconds tick by! 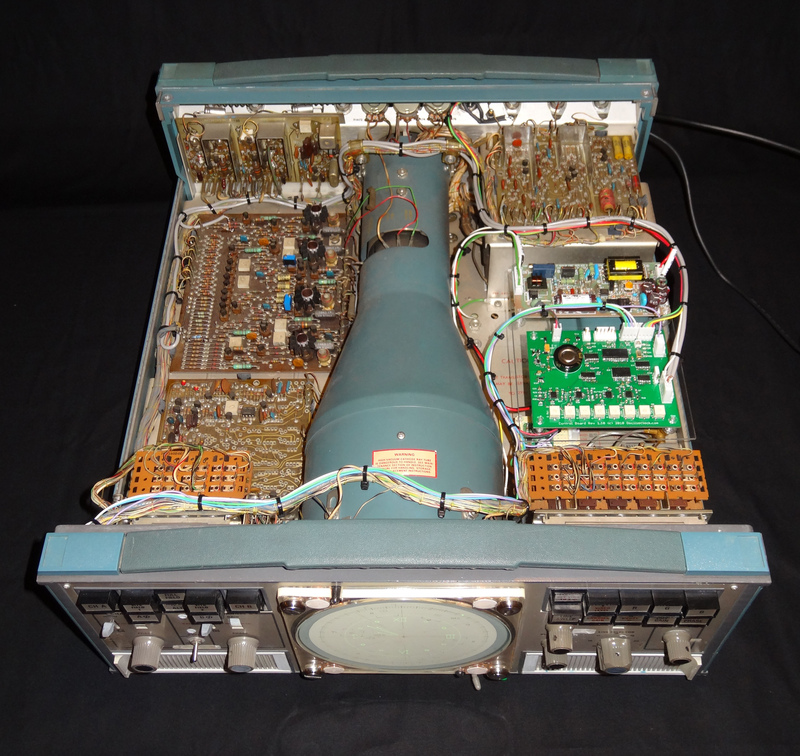 The 537 was manufactured by Kikusui Electronics Corp., a major producer of test equipment in Japan since 1951. 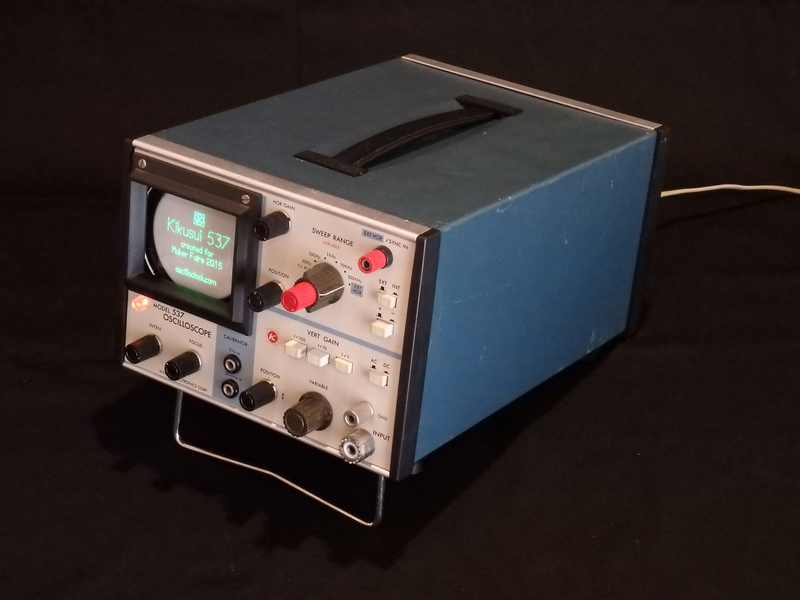 It was produced in large numbers from 1975 and was extremely popular for its small form factor, solid-state design, 5 MHz bandwidth, and ‘low’ price of 45,000 yen (perhaps USD 1,000 in today’s terms). See the catalogue page (Japanese only) and the operating manual (Japanese and English). This approach involves tying the Oscilloclock Control Board‘s outputs directly into the existing X and Y amplifier circuits. This was easy to do in the 537! However, as discussed in the Circle Graphics post, we also need to be able to blank the beam at extremely precise intervals. Sadly, the 537 (like nearly all oscilloscopes of this vintage) does NOT have a convenient DC pulse-tolerant Z-axis input. I therefore installed an Oscilloclock Power Board, partially populated to serve as an isolated blanking amplifier, in series with the grid. Finally, an Oscilloclock Supply Board was needed to power the other boards. 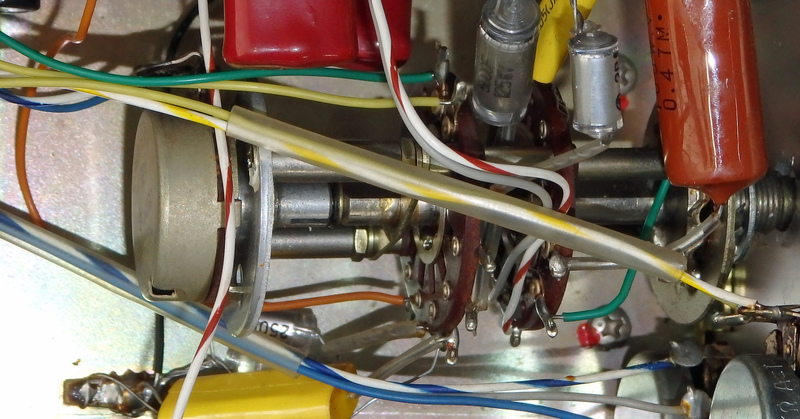 An Oscilloclock Supply Board is also nestled in there! 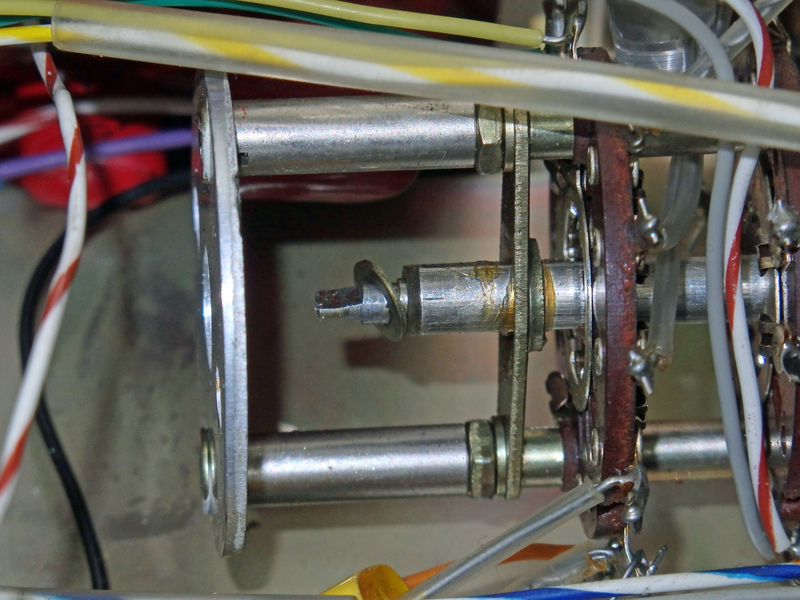 The encoder, after hacking with a hacksaw! 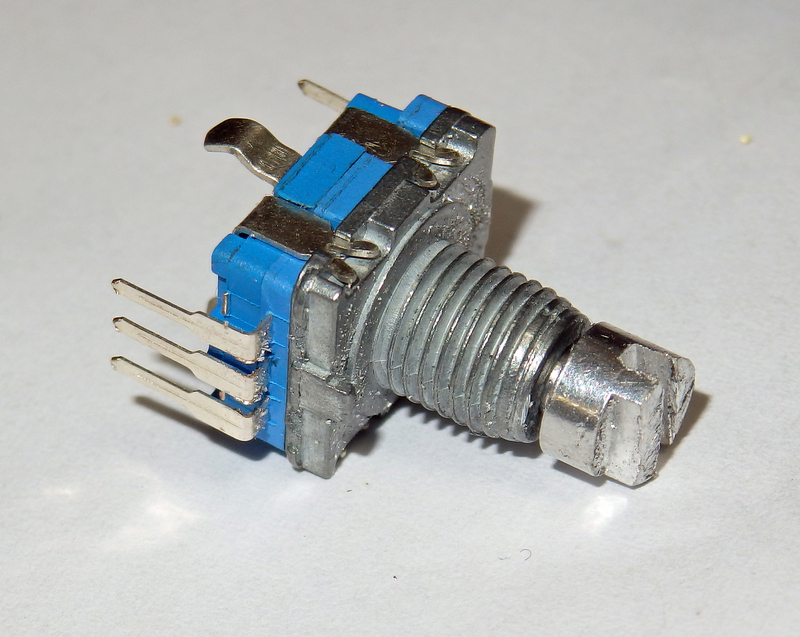 Voila – sweep knob now drives the rotary encoder! 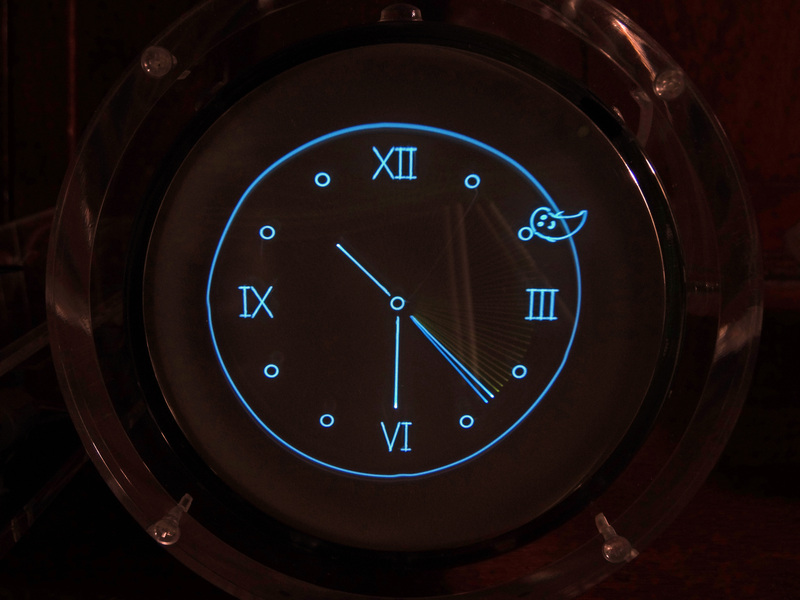 One of the two Kikusui 537 Oscilloclocks crafted for the Maker Faire is still available for the special person with a soft spot for a krazy kikusui klock. Visit the Availability page for more information, and of course see the Gallery for other unique creations! Television broadcasting has switched from analog to digital – and if you’ve got a nice HD TV, you’ll be loving it! 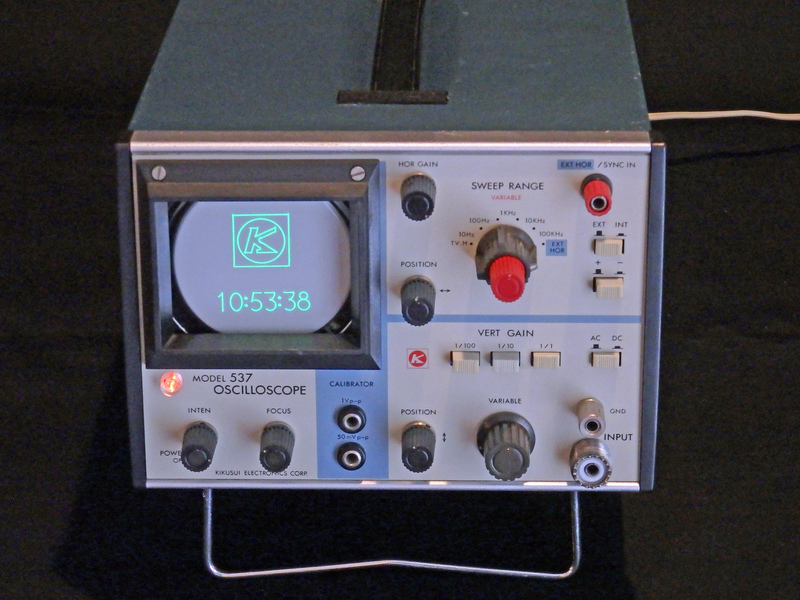 But with that transition came the death of an entire breed of equipment – the Vectorscope. Just to be clear, these are not monitors for playing ancient video games using vector graphics!! 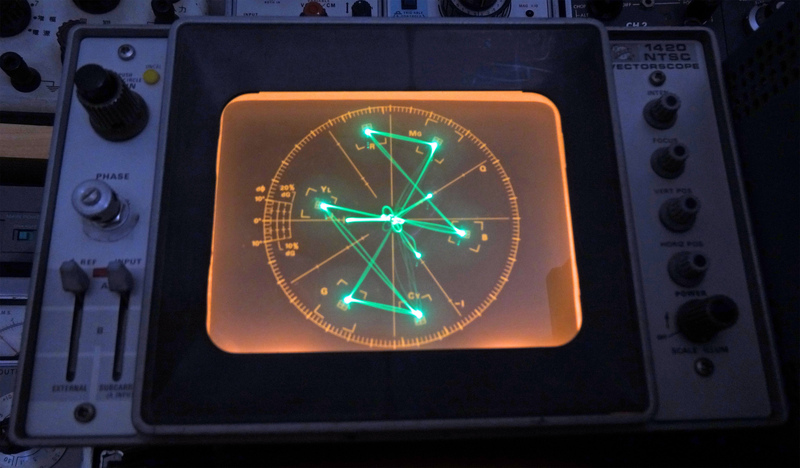 No, the Vectorscope is (was) used to give a delightful view of the ‘vectors’ inside an NTSC or PAL video signal, describing the color components of the signal. If you were lucky enough to be a TV broadcast technician, you’d use your Vectorscope all the time to check your vectors’ amplitudes and phase. You would even give your vectors names like ‘Jack’ and ‘Jill’, and check up on their relationships daily, just as any responsible guardian would! 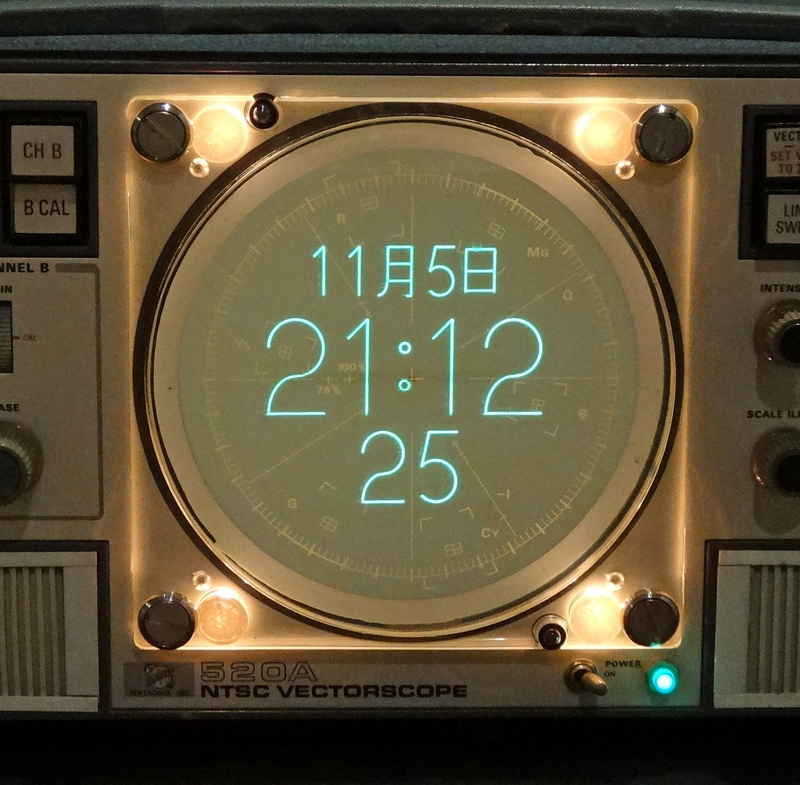 This lovely Oscilloclock reincarnation of a Tektronix 520A, sold at Maker Faire Tokyo 2013, allows its new owner to forever relive the magic of NTSC, PAL and SECAM analog color. 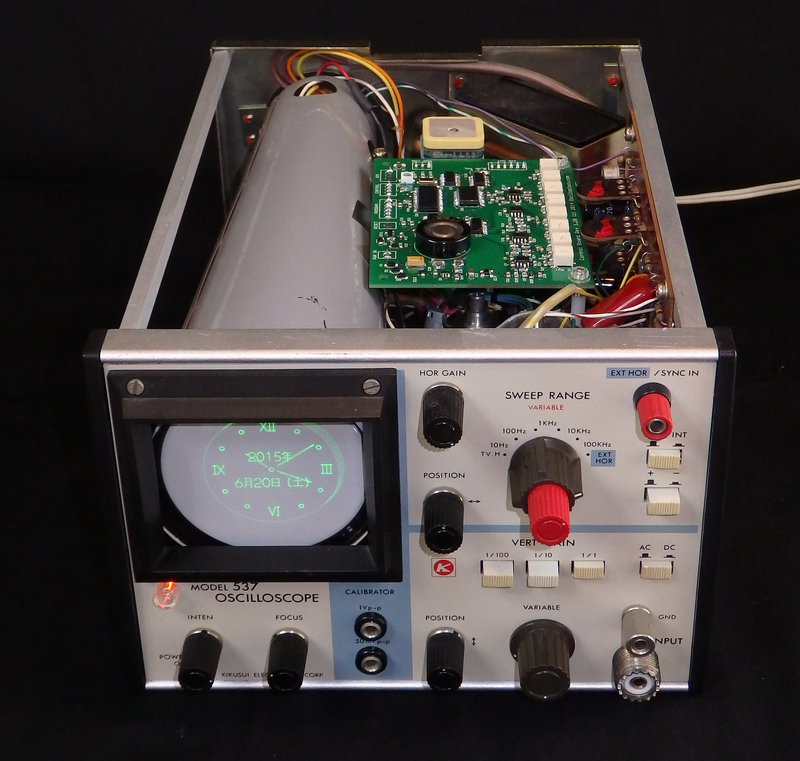 Tektronix 520A VectorClock – brilliant blend of the old and new! 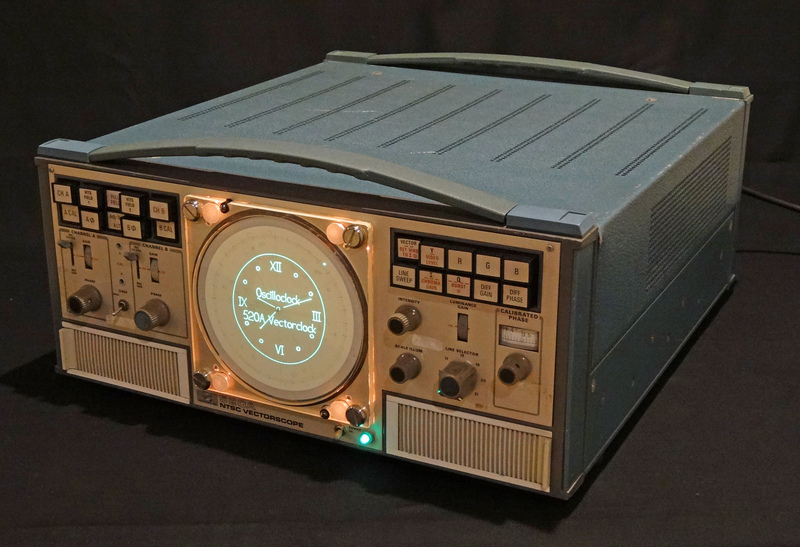 The Tektronix 520A has a stunning built-in array of lights for illuminating the CRT graticules. By simply removing the bezel and external graticule, the Tek 520A morphs into a deliciously moody timepiece! Normally, I shun CRTs with built-in graticules. Their lines detract dreadfully from an Oscilloclock image. But here! 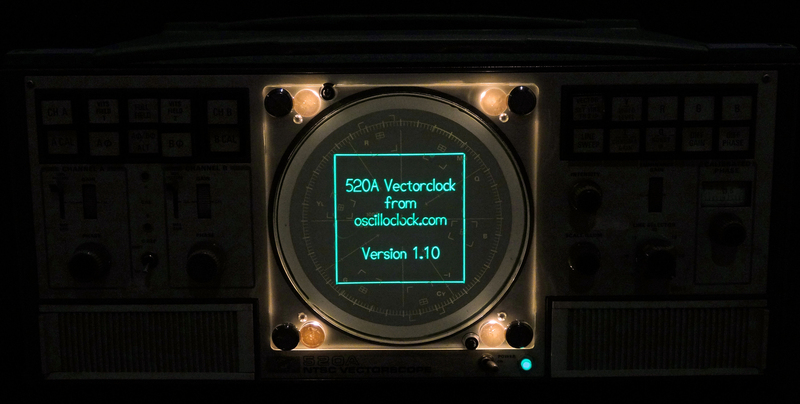 The Tek 520A’s internal vectorscope graticule is round! What better way to accentuate a Circle Graphics driven display? Silky smooth Circle Graphics on steroids! The Tek 520A is solid-state. It can be left on 24 hours a day and not fail for many years. This makes it a perfect match for my Maximum Re-use + Minimum Invasion policy: nearly all existing circuits – HV power supply, deflection amplifiers, blanking – are put to use, with just a few (reversible) tweaks. 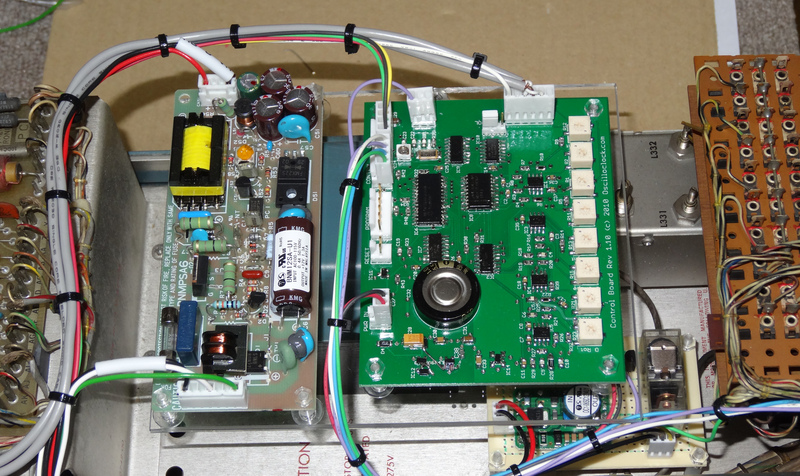 The Oscilloclock Power Board is mounted neatly next to its own dedicated low voltage supply. A small relay board can be seen below, for controlling the Tek’s main power unit. All cabling is HV-tolerant and neatly fastened with high-temperature cable ties. 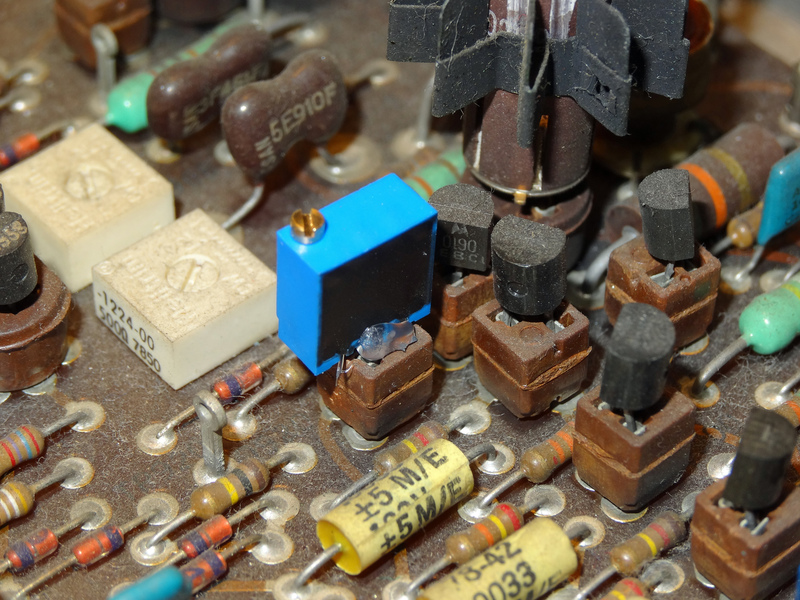 Of the more interesting reversible ‘tweaks’ needed for this retrofit, here we see a delightful little trimpot pretending to be a transistor. Quite an act, I would say! If you love big, looming Vectorscopes and need to have one put to good use in your living room, Contact me. And be sure to subscribe from the front page, to track all the other exotic experiments and unique timepieces targeted for 2014! 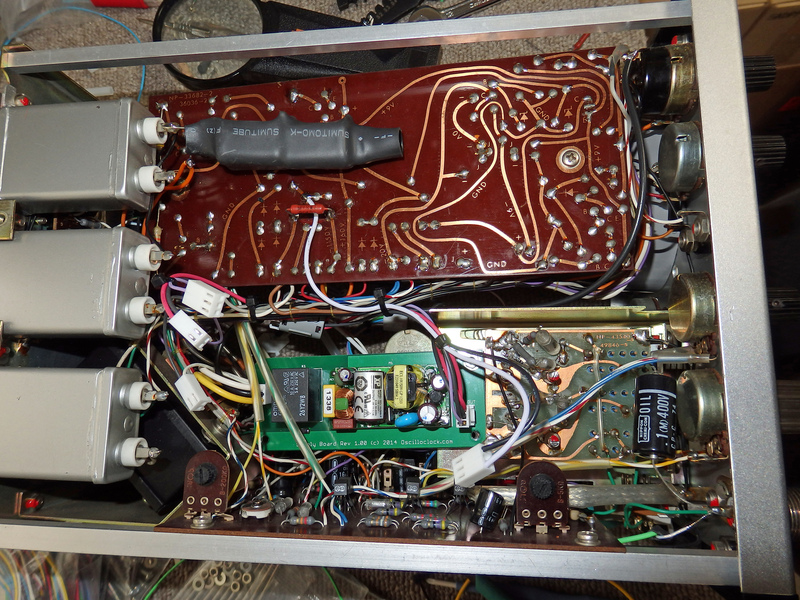 Credits to [Quinn] in Canada, for providing the initial inspiration for the Tek 520A VectorClock project! Oscilloclock.com proudly presents a new feature – Seasonal Treats ! This month, the ghosts come out of the attic and merge with the electron stream, leaving their telltale prints in the phosphor… but if you get too scared? Just push the button and blow them up!